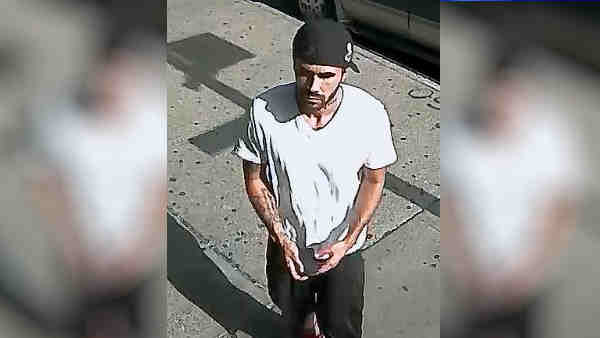 BRONX, New York (WABC) -- Police are looking for man suspected of mugging two elderly women in the Bronx. At 6 p.m. on Aug. 21, an 82-year-old woman was walking near Arthur Avenue and East 188th Street, when a man followed her into her apartment building. According to the New York City Police Department, he took the woman's gold chain from her neck, pushed her down and began kicking her. The male fled. The victim refused medical attention at the scene. Police said they think the same person is behind another attack in Belmont in the Bronx. Around 11 a.m. Aug. 14, the suspect went into a 90-year-old woman's home on Adams Place through an unlocked door and demanded money. Police said he took $40 in cash from the victim as well as a gold chain with two wedding rings and a cross on it. The individual is described as a male Hispanic or White and last seen wearing a white T-shirt, gray shorts, black sneakers and a black baseball cap. Anyone with information on this case is asked to call 800-577-TIPS or for Spanish 1-888-57-PISTA (74782).